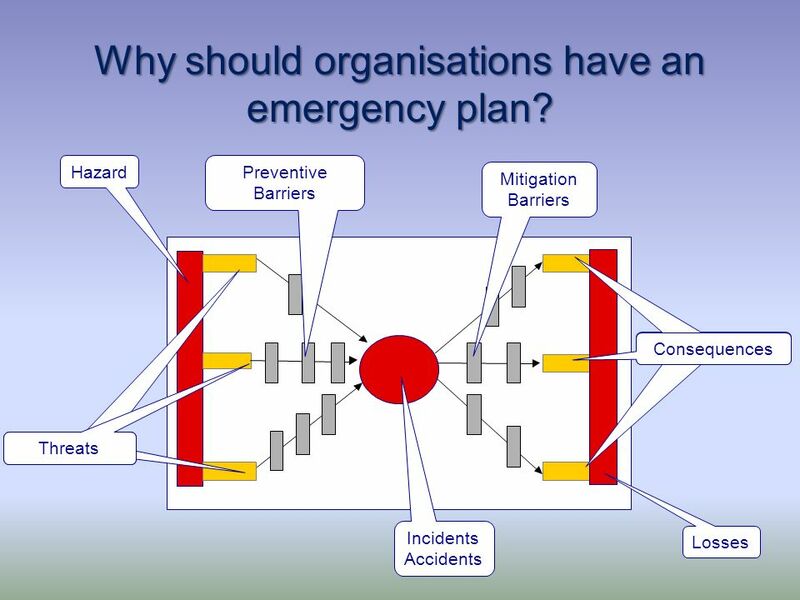 17 Why should organisations have an emergency plan? 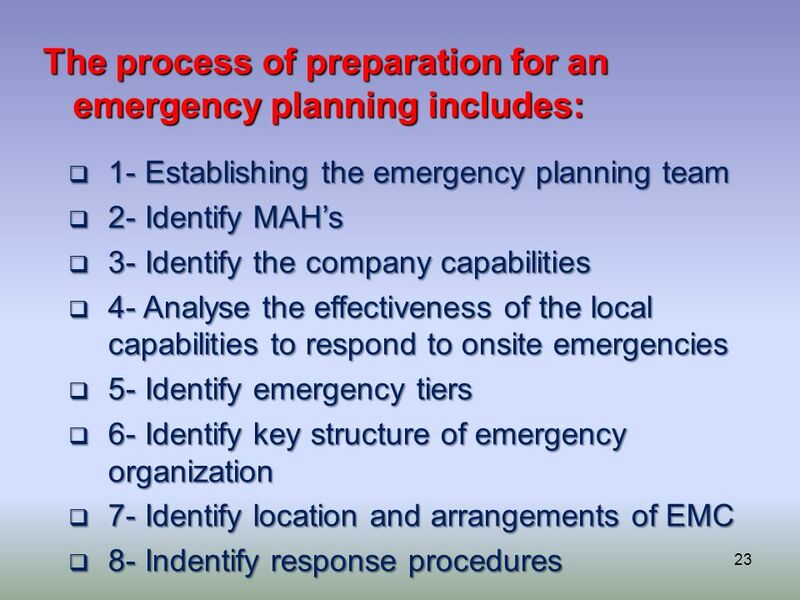 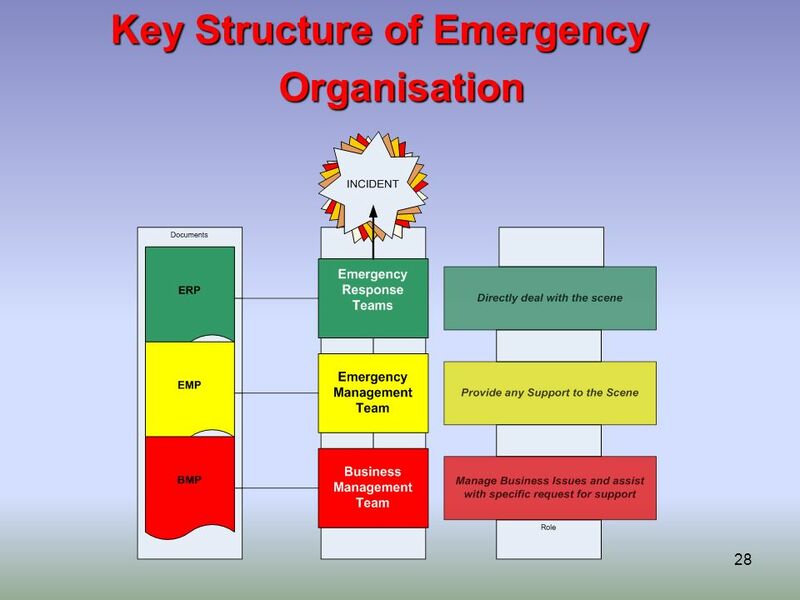 18 Why should organisations have an emergency plan? 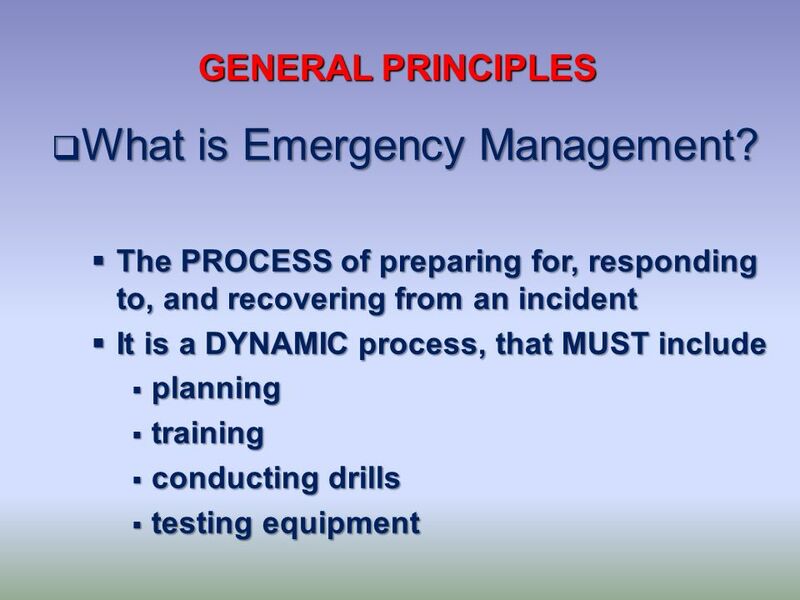 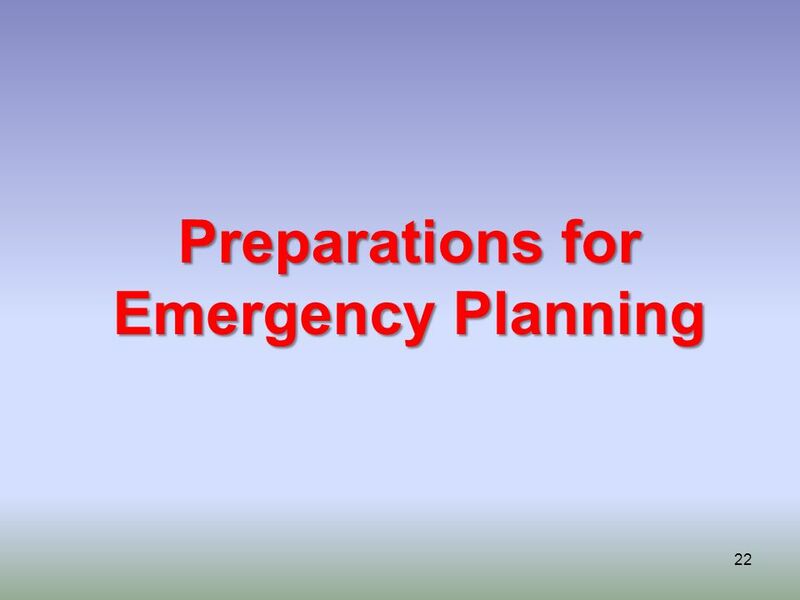 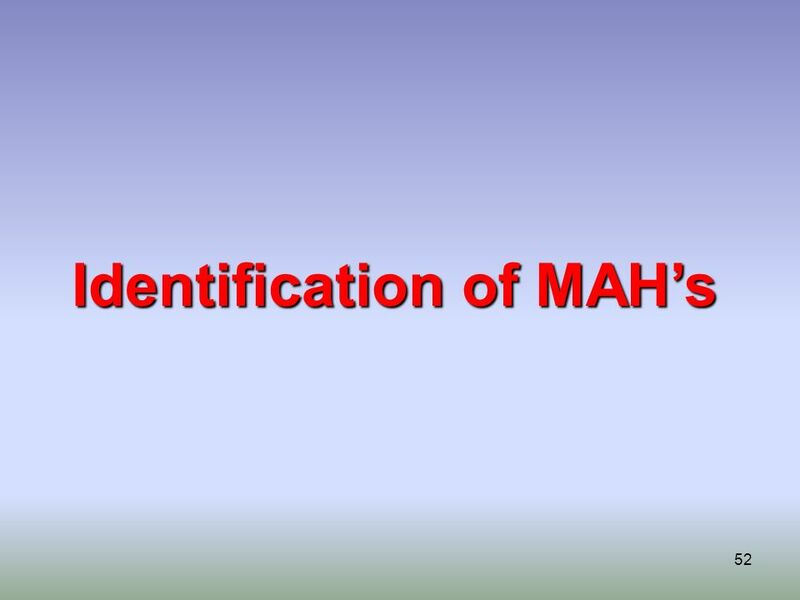 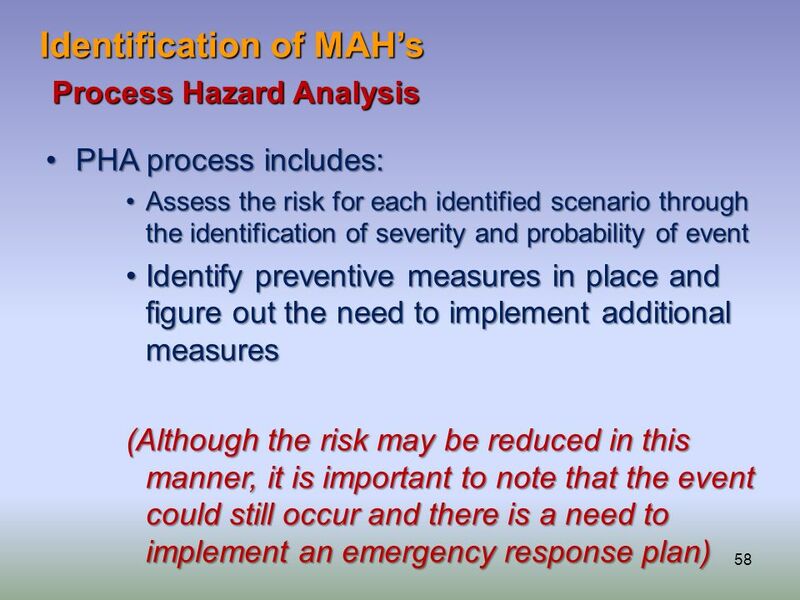 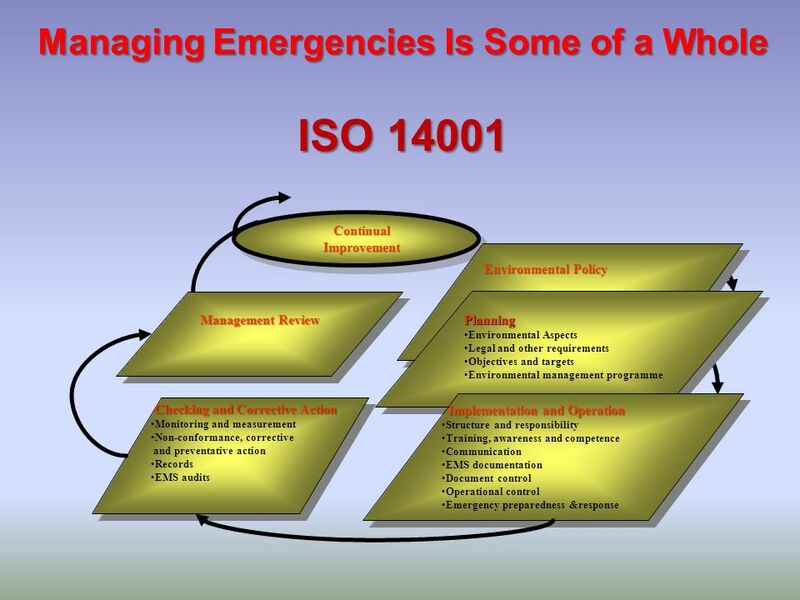 19 What is Emergency Management? 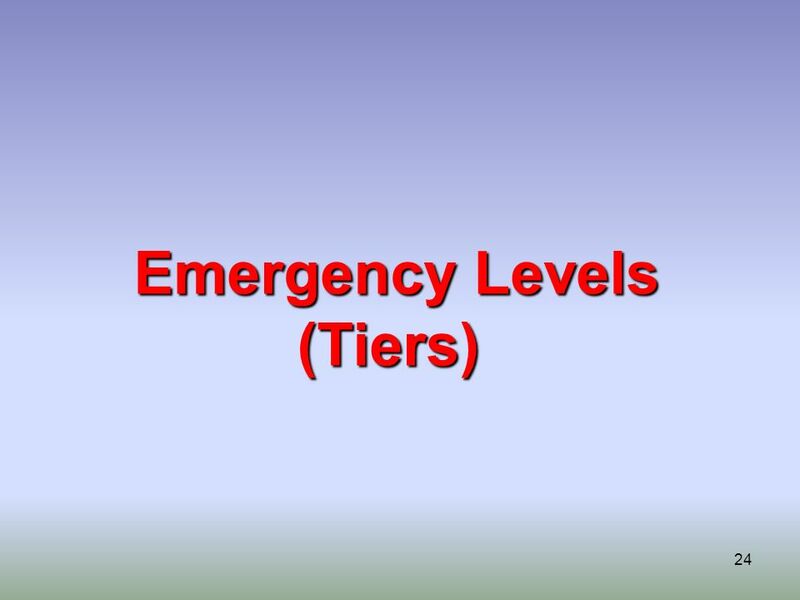 Tier Emergency Description Definition Example Scenarios 1 Minor Any incident, potential or actual involving the process causing damage to assets or which will limit the overall functional capacity of the plant. 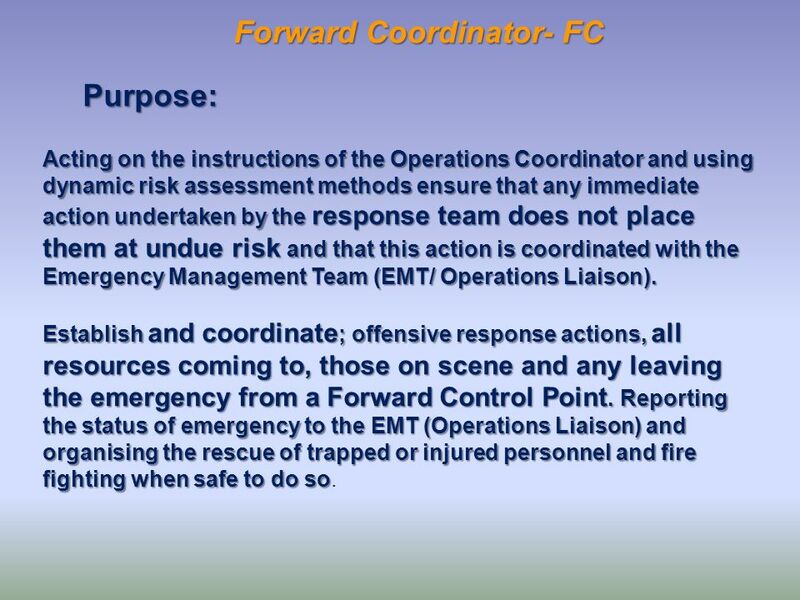 Controlled by operations personnel and emergency response team. 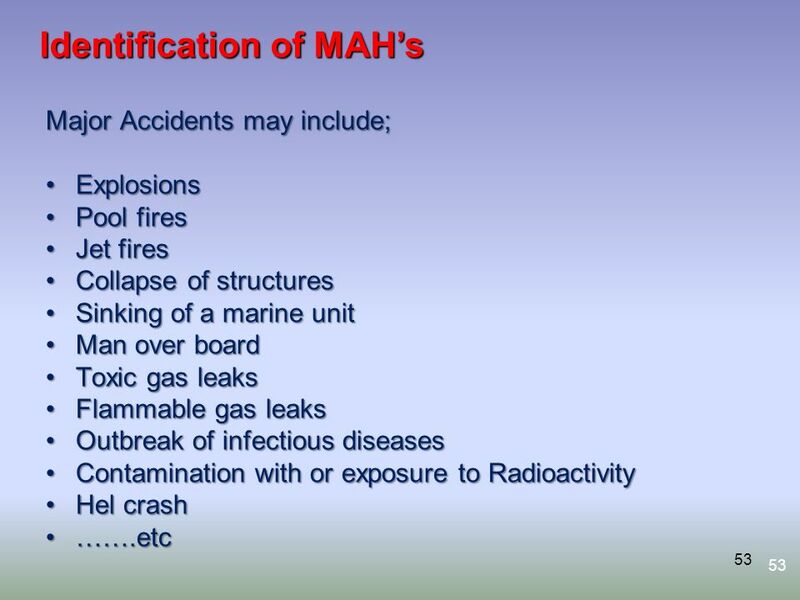 Minor fire / explosion, hydrocarbon leak/ spill 2 Serious Any actual incident involving the process causing injury or serious injury to one or more personnel or death. 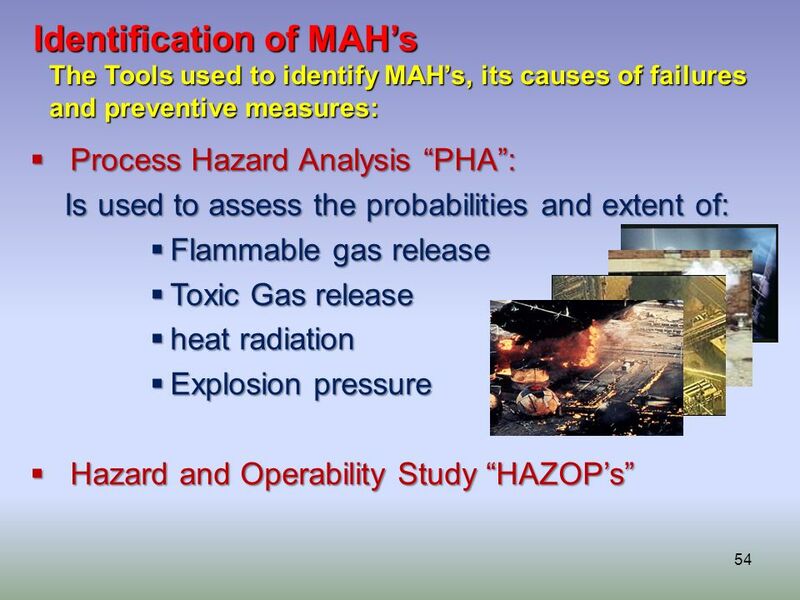 Damage to the environment or serious damage affecting the overall functional capacity of the plant. 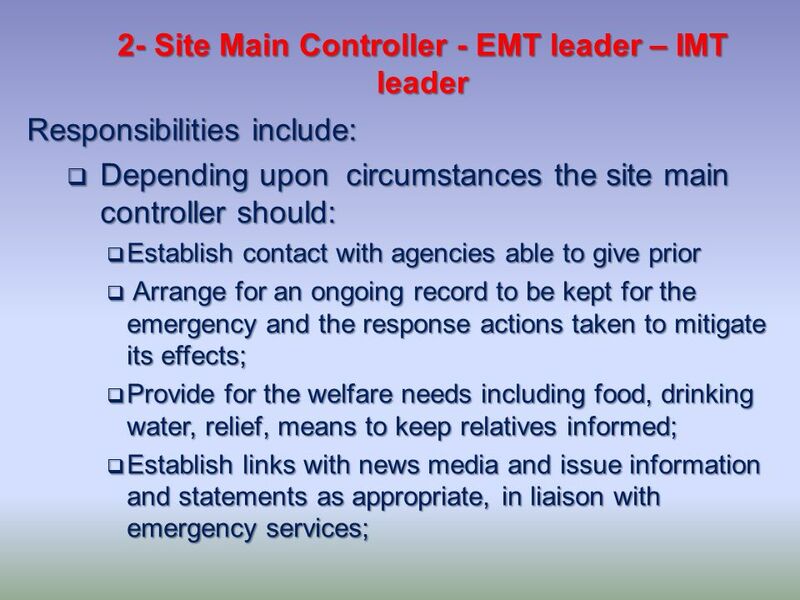 Controlled by operations personnel, the EMT and supported by external agencies. 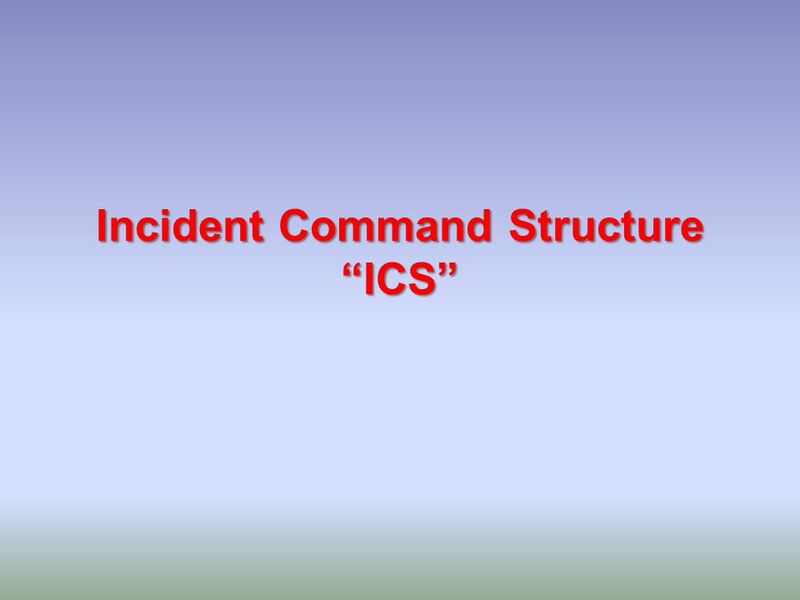 Serious fire / explosion, hydrocarbon leak / spill. 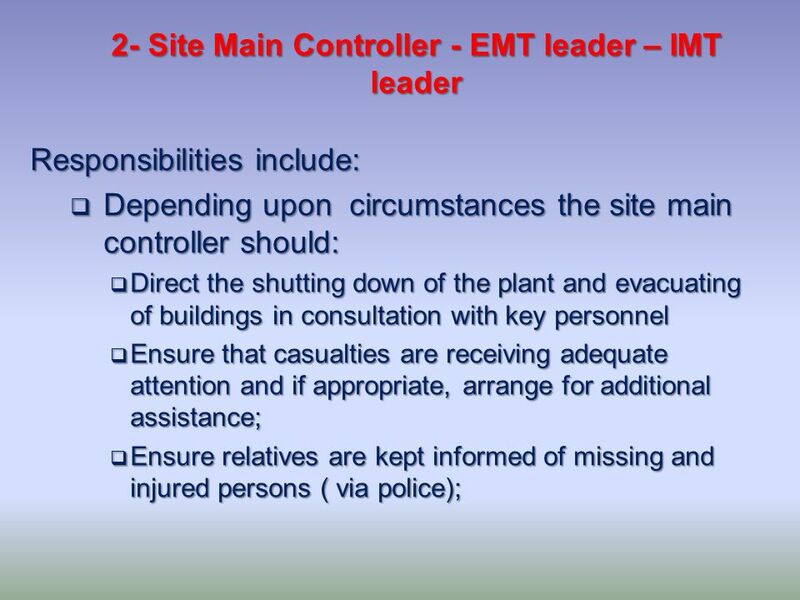 3 Major An escalated incident involving more than five seriously injured casualties or deaths. 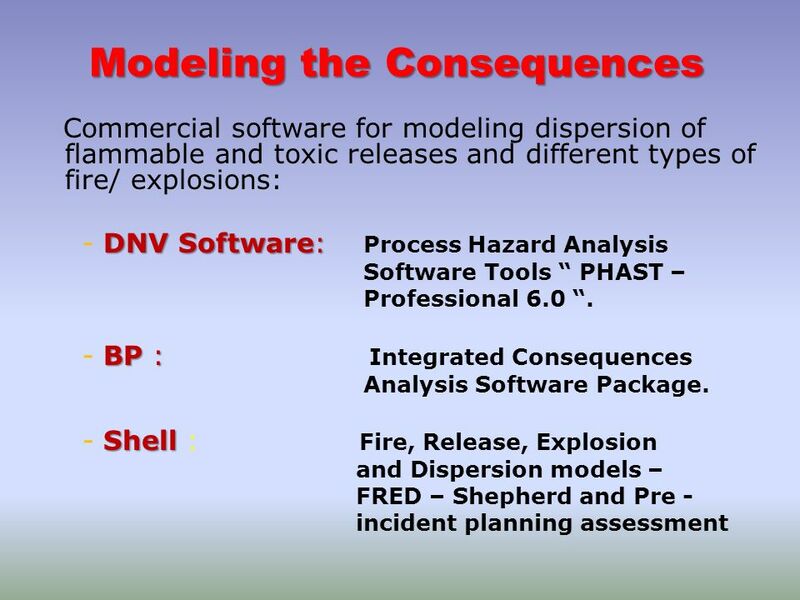 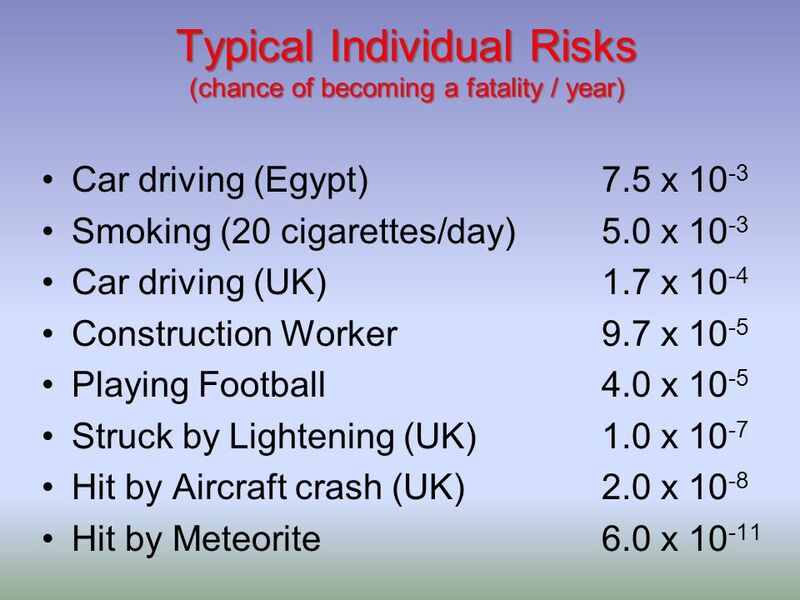 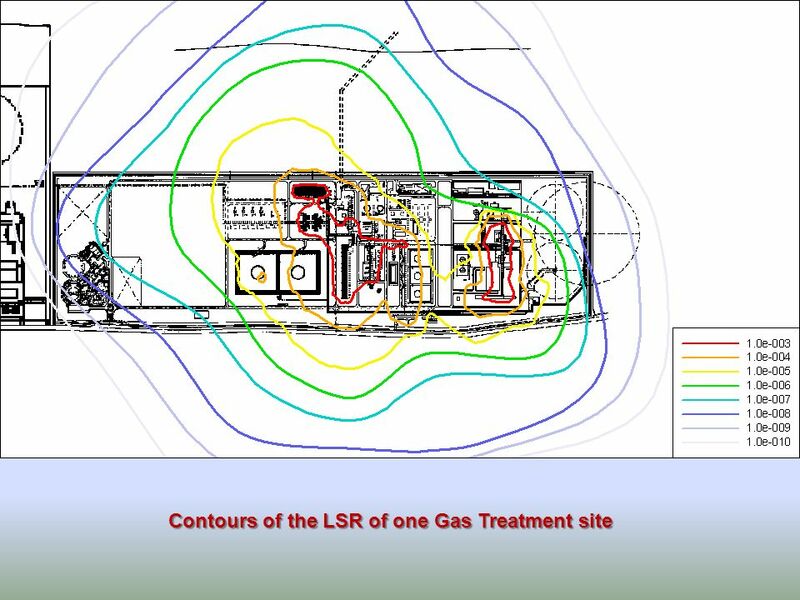 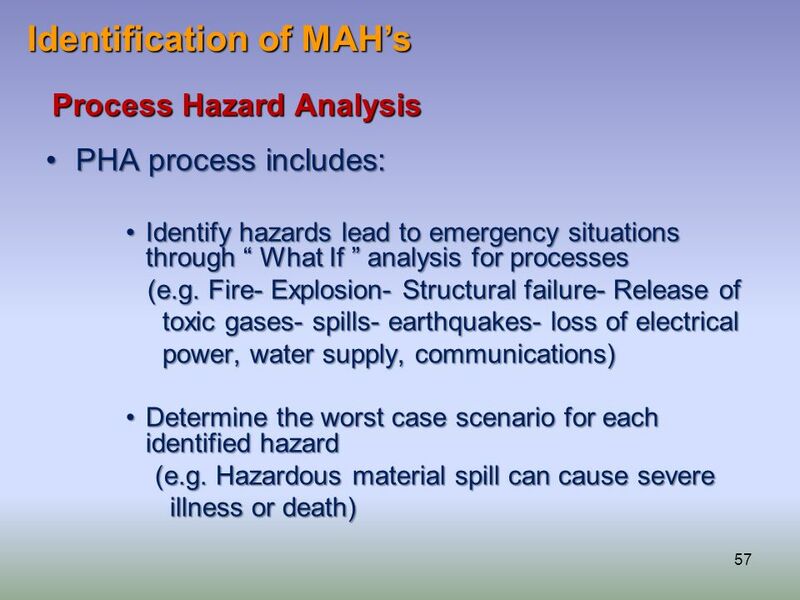 The effects pose a direct threat to local civilian population and or the environmental impact is extensive or the incident causes destruction of a part of the plant. 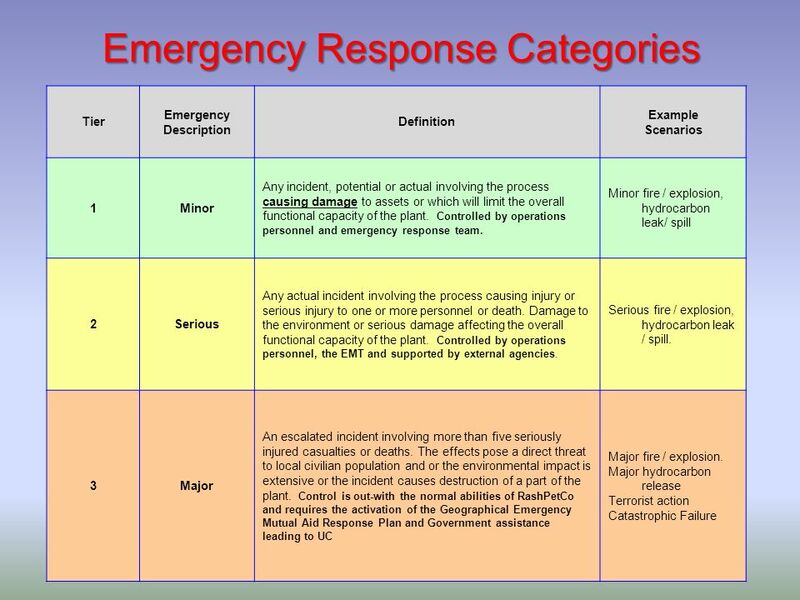 Control is out-with the normal abilities of RashPetCo and requires the activation of the Geographical Emergency Mutual Aid Response Plan and Government assistance leading to UC Major fire / explosion. 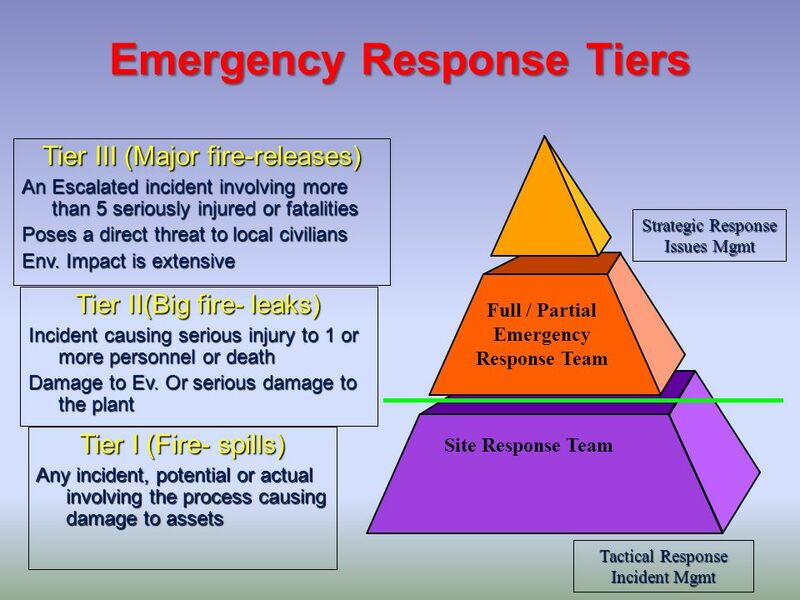 Major hydrocarbon release Terrorist action Catastrophic Failure Tier 1 Response ERT at Idku: Unlikely to require support from Duty Manager and EMT. 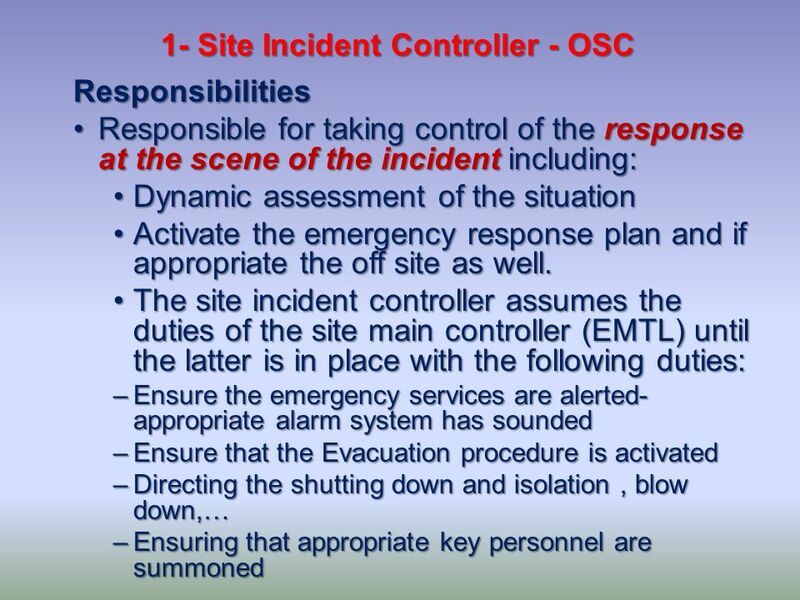 No mobilisation of response teams. 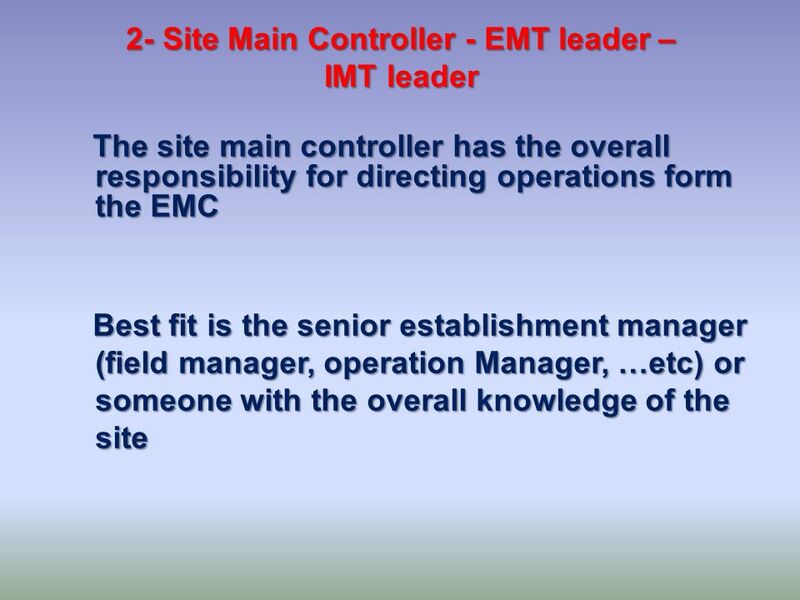 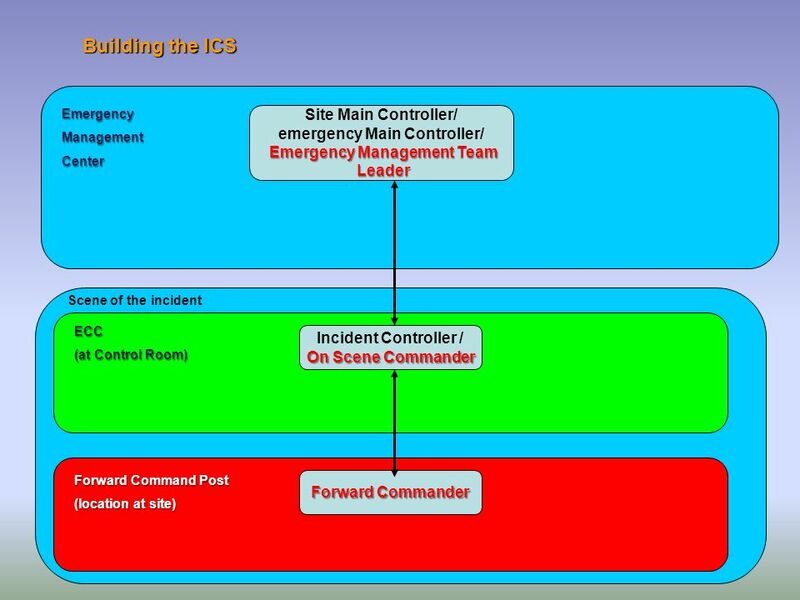 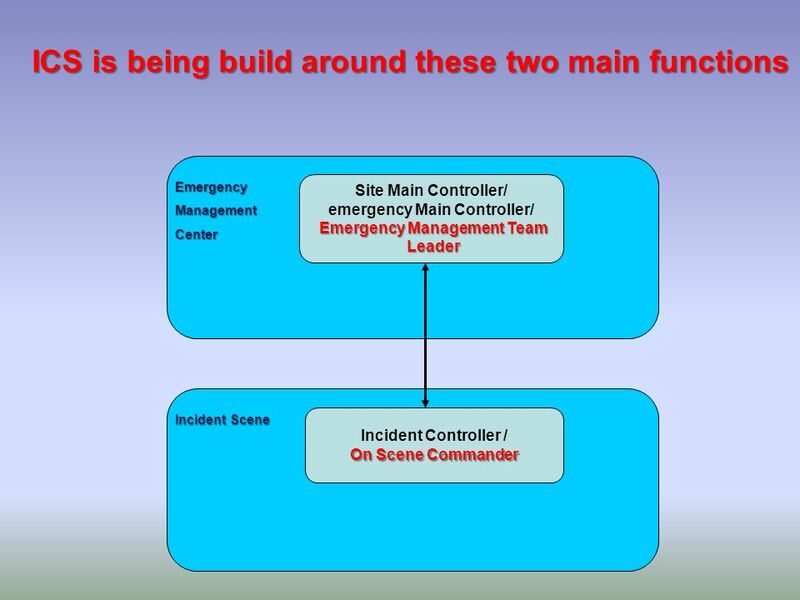 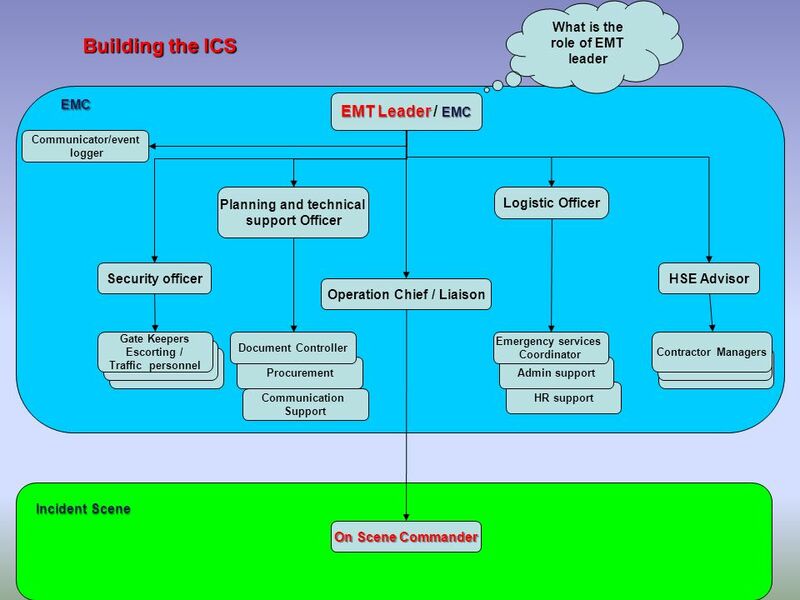 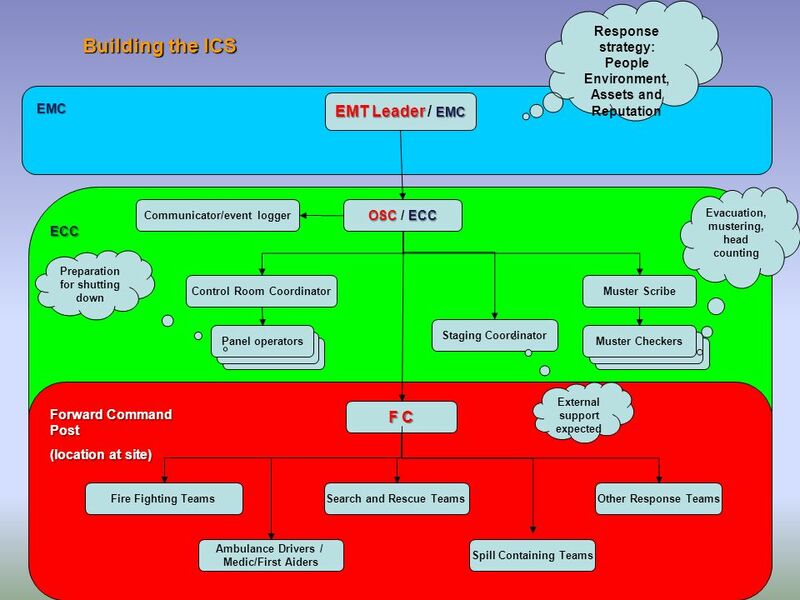 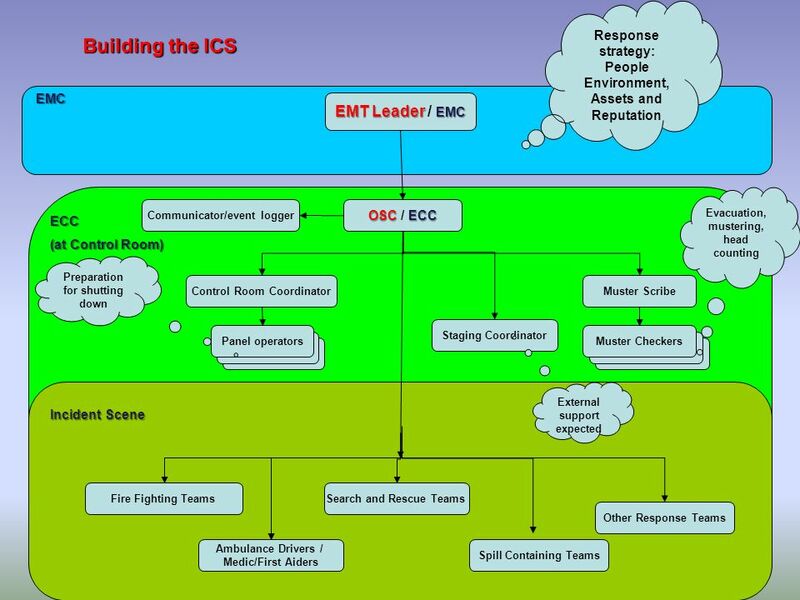 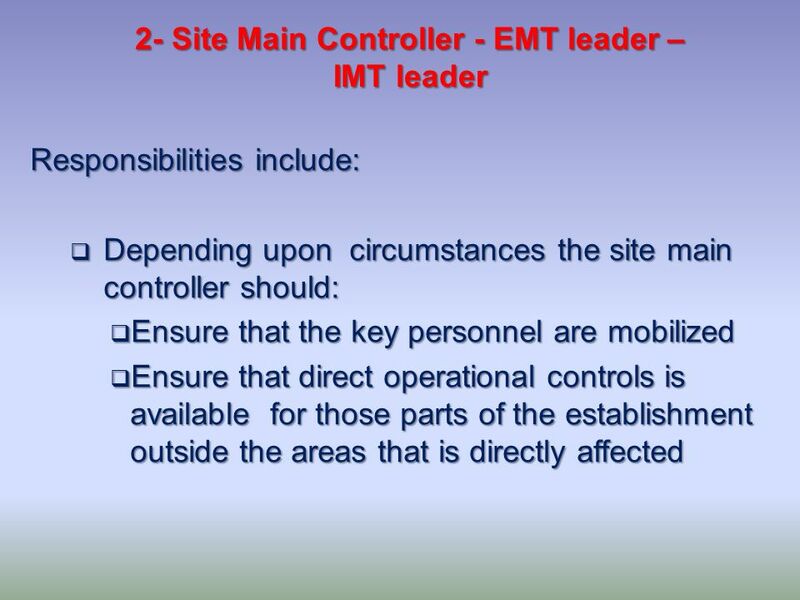 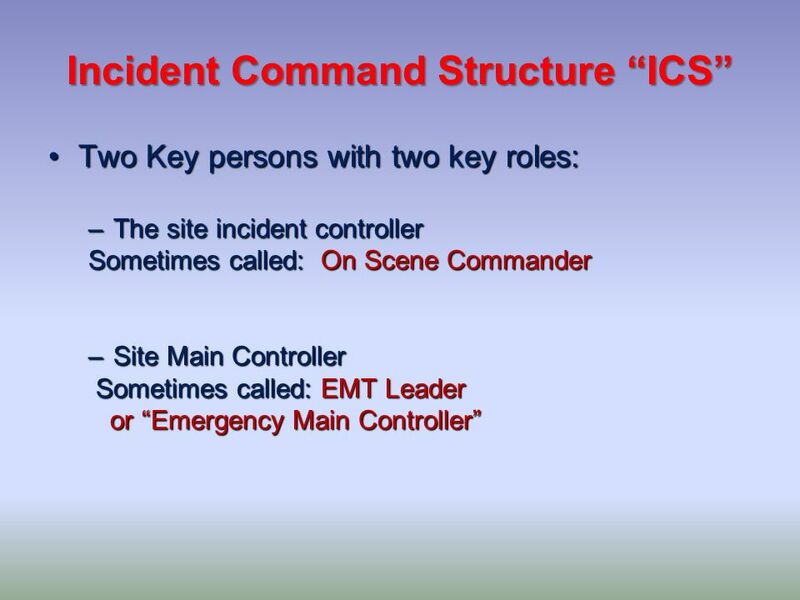 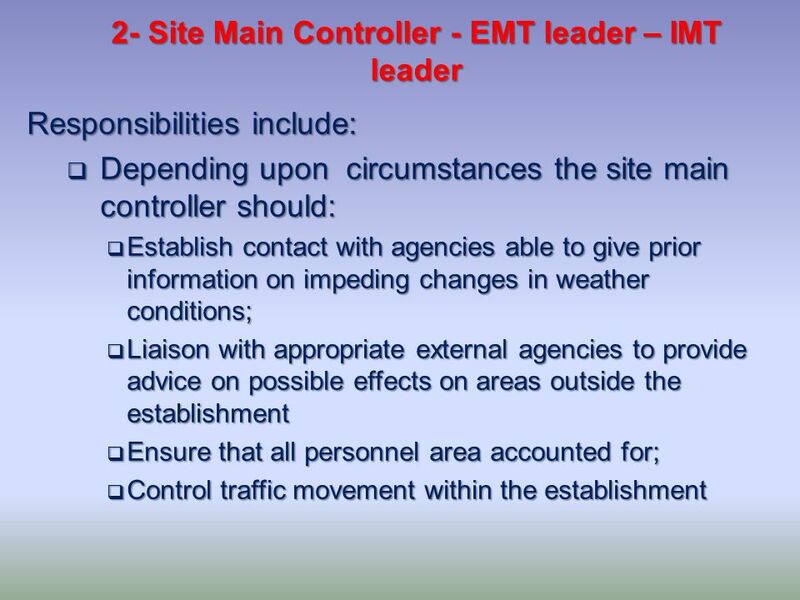 Tier 2 Response EMT at Idku: Actions taken by responders at an incident site to directly manage the problem and its consequences. 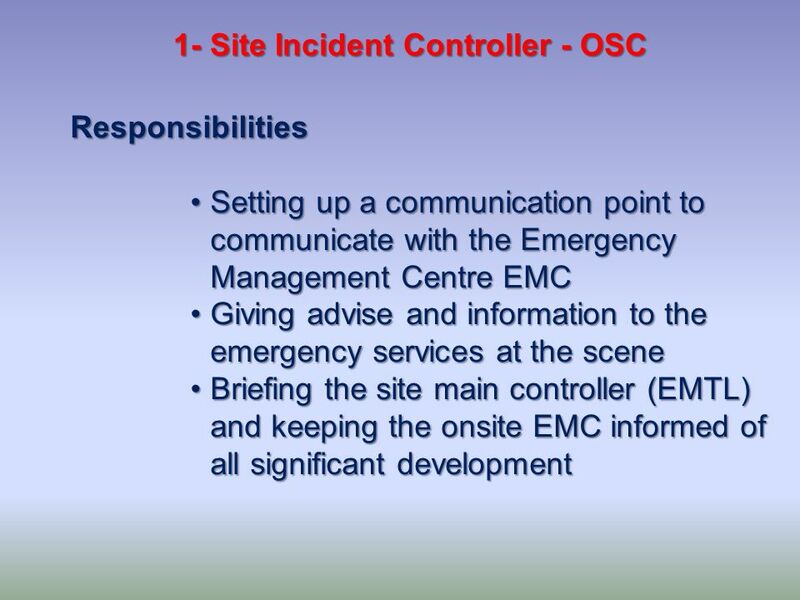 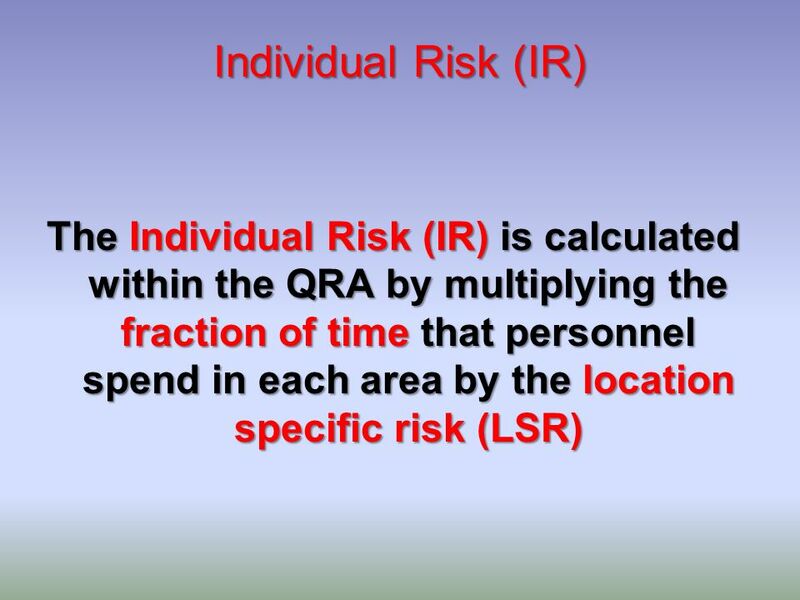 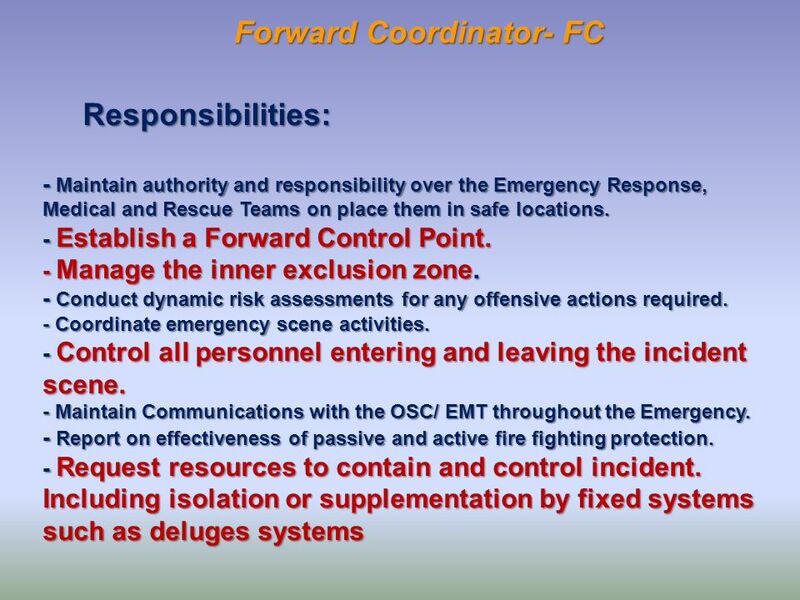 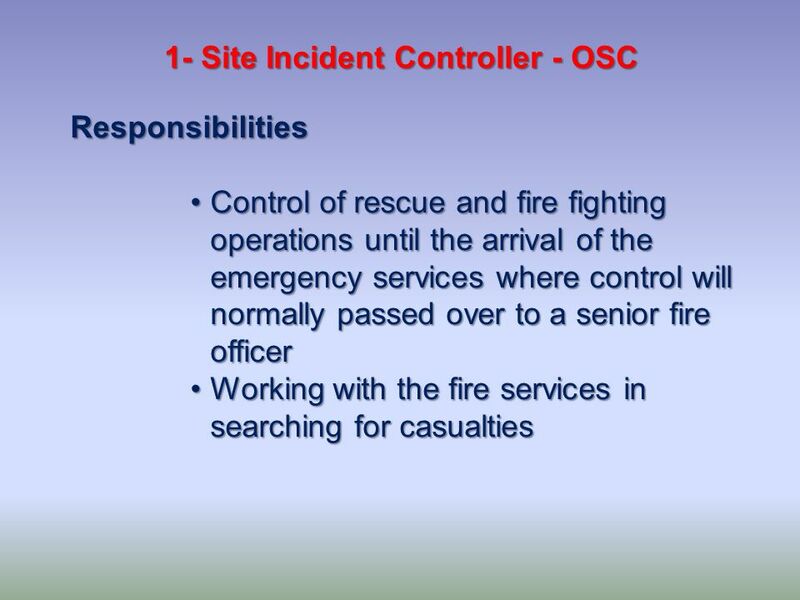 Responders are involved in the immediate and direct management of the incident. 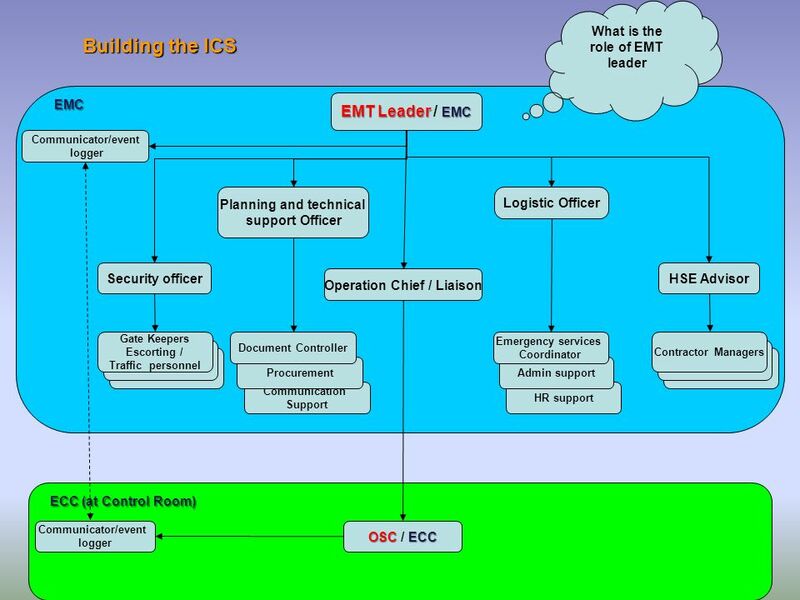 This will normally be the Operations Management Team at Idku. 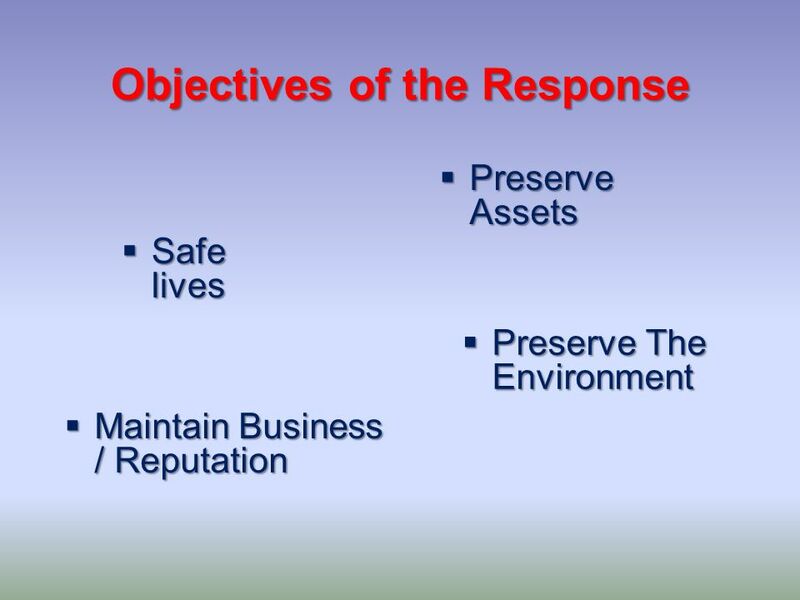 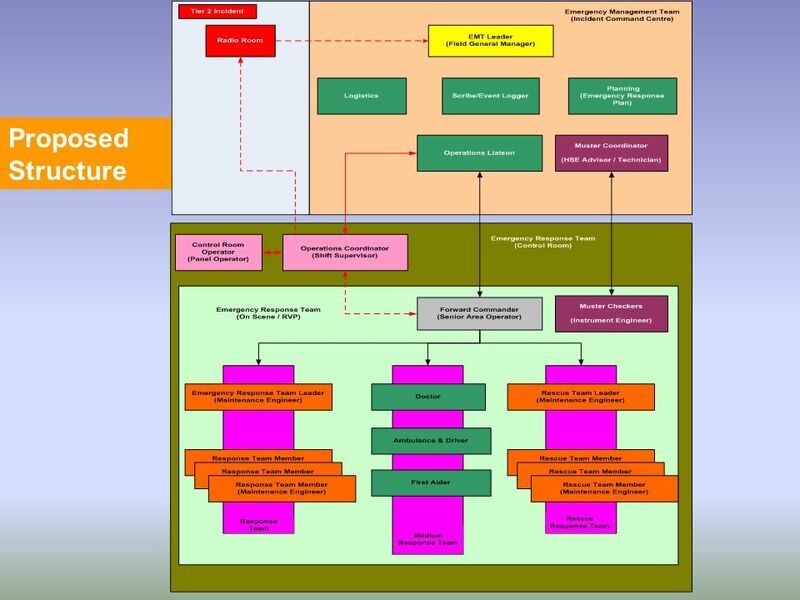 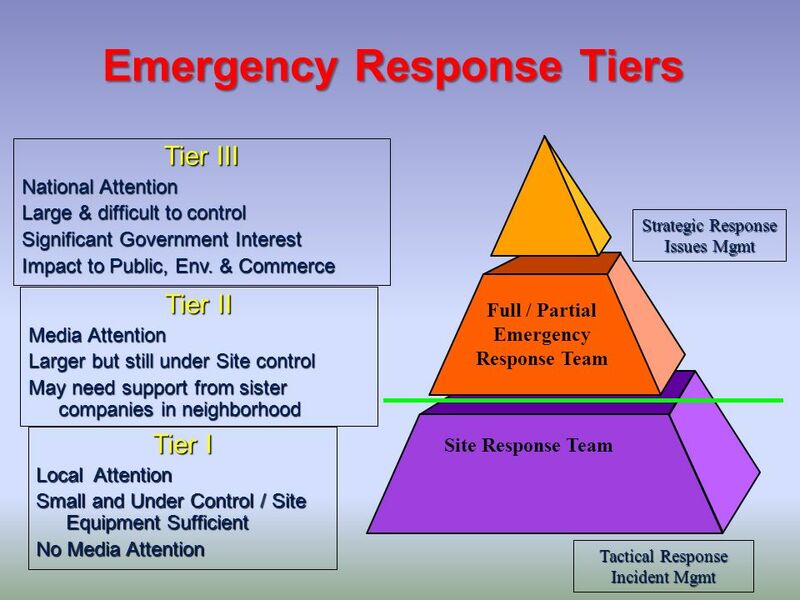 Tier 3 Response Actions taken away from the scene to support the EMT, facilitate planning, and address the concerns of the public and government agencies BST address the implications of the problem and its potential on the Company’s viability, operability and credibility. 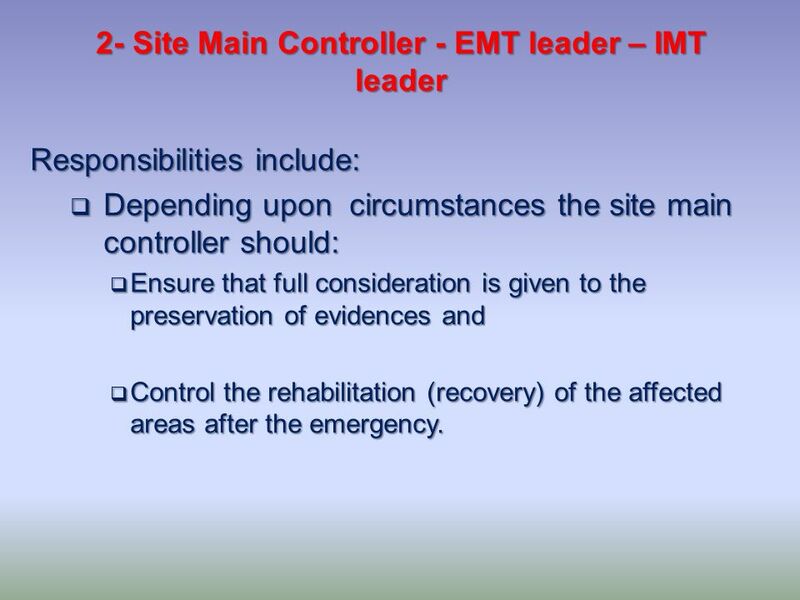 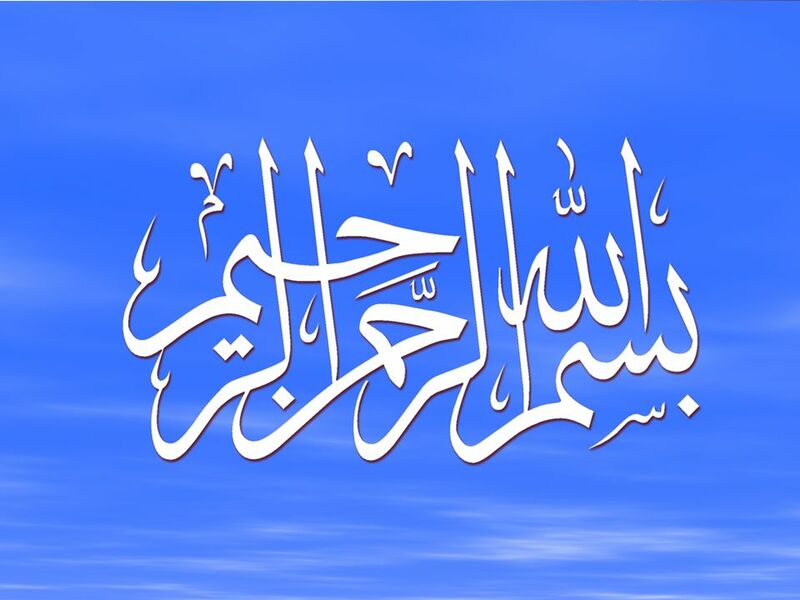 Responsibilities include: Depending upon circumstances the site main controller should: Ensure that full consideration is given to the preservation of evidences and Control the rehabilitation (recovery) of the affected areas after the emergency. 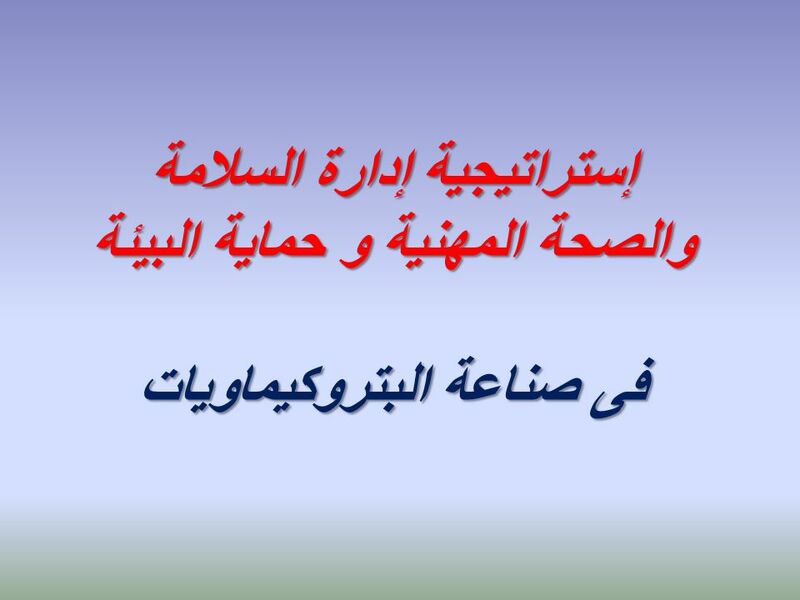 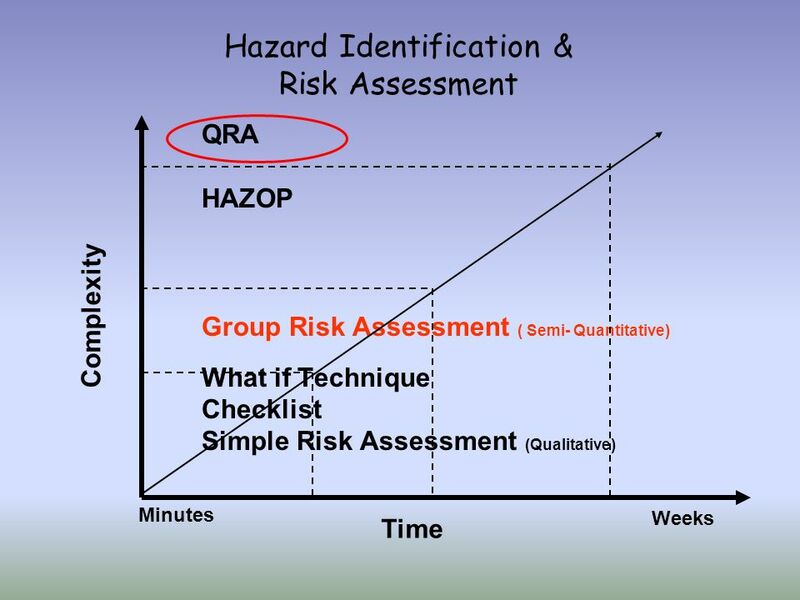 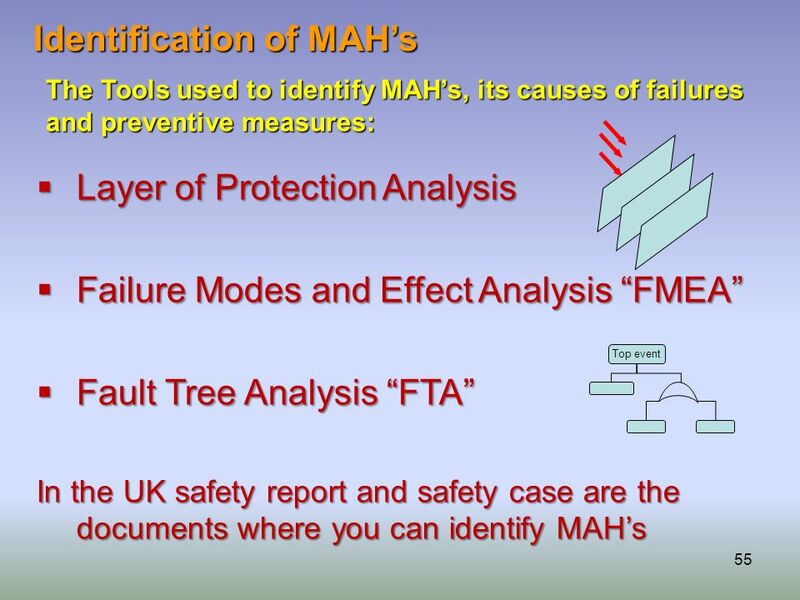 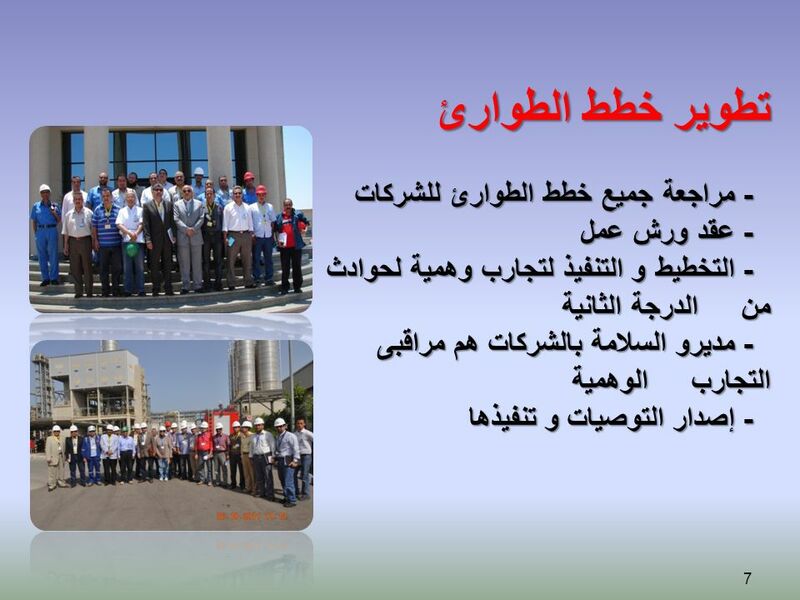 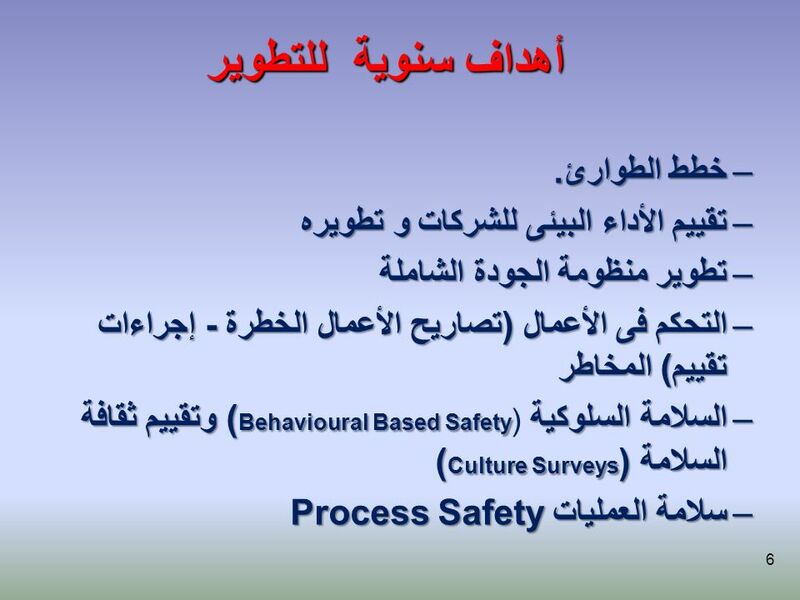 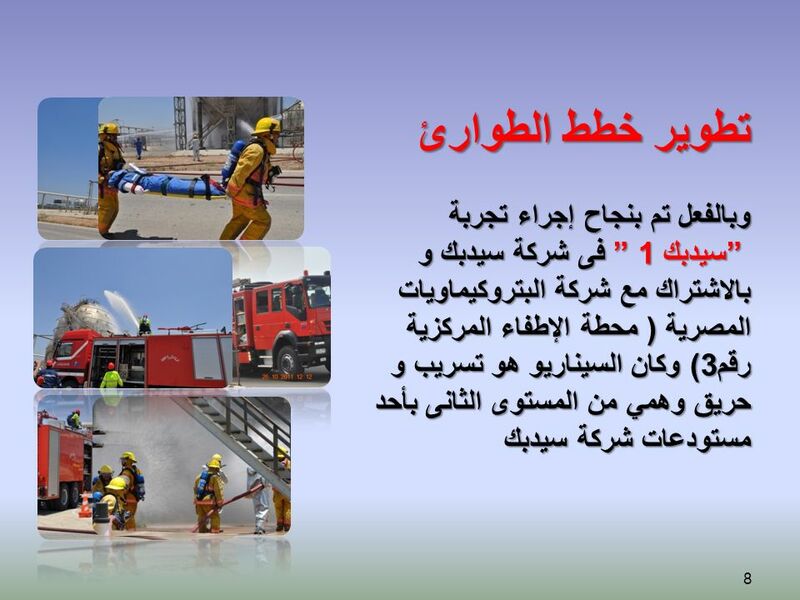 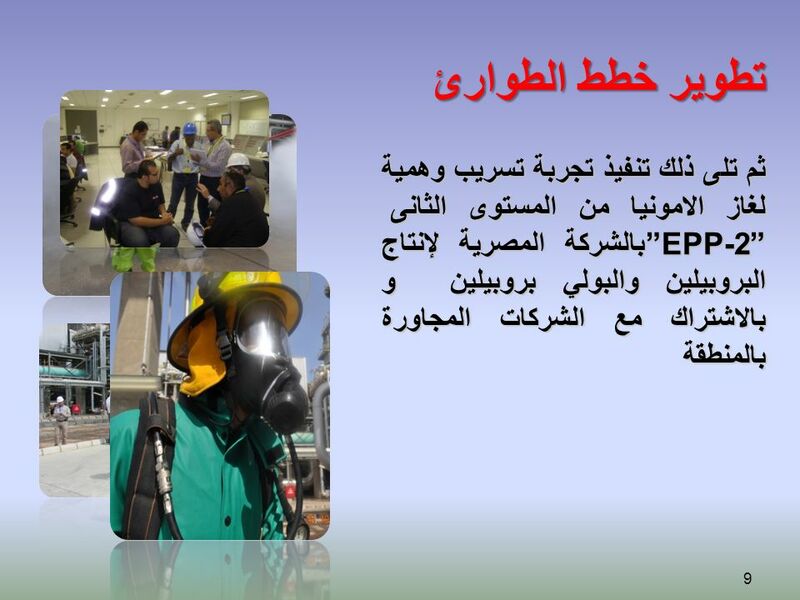 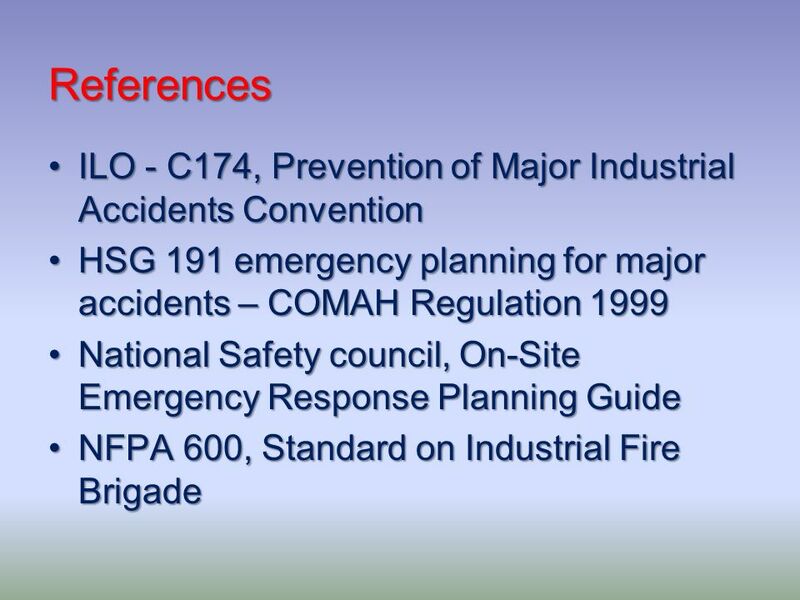 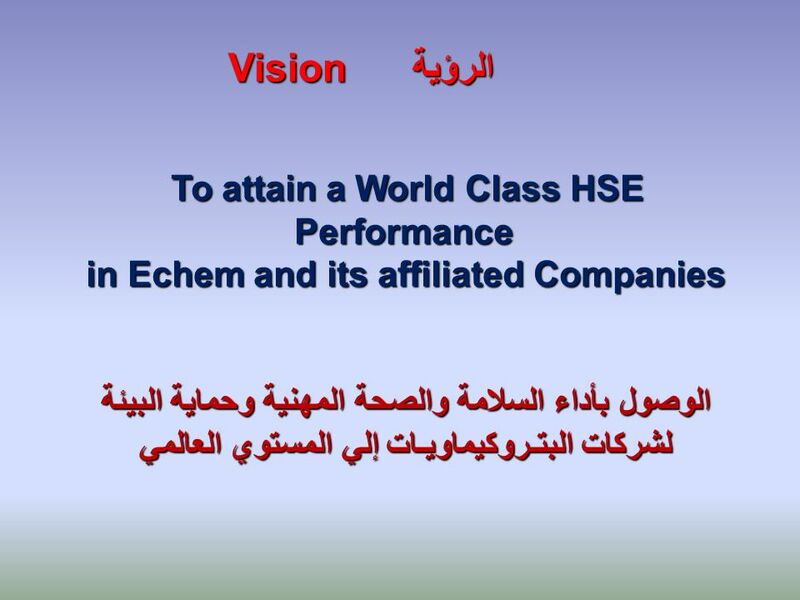 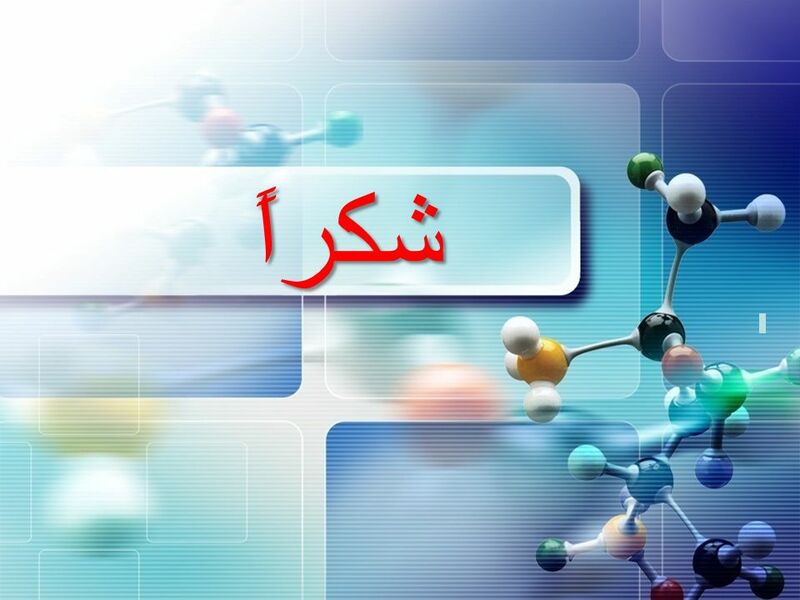 Download ppt "إستراتيجية إدارة السلامة والصحة المهنية و حماية البيئة"
Major Accident Prevention Policy (MAPP) and Safety Management System (SMS) in the Context of the Seveso II Directive. 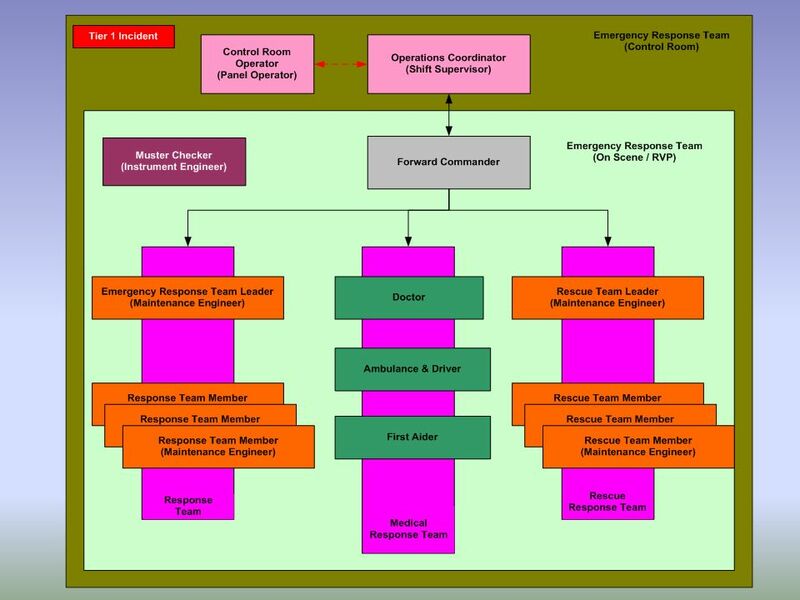 Visual 5.1 General Staff Functions Unit 5: General Staff Functions. 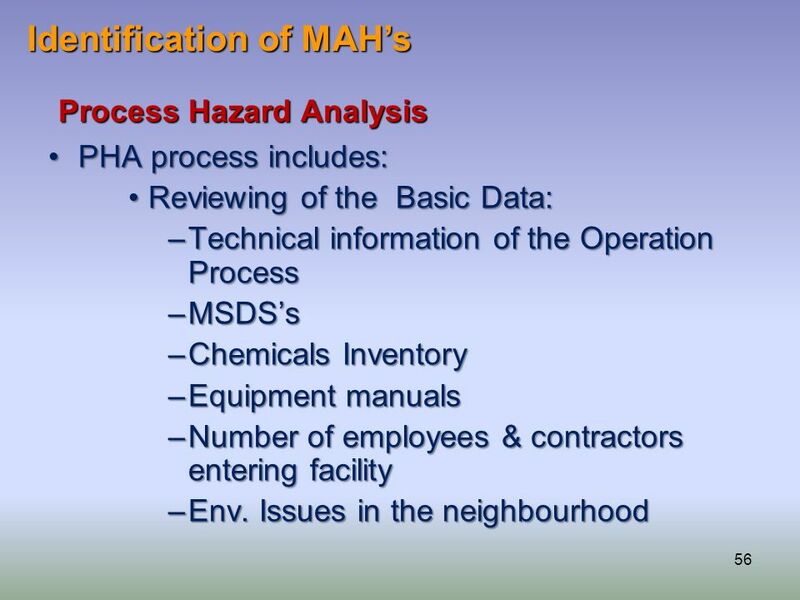 Department of Environmental Quality Environmental Management System Overview. 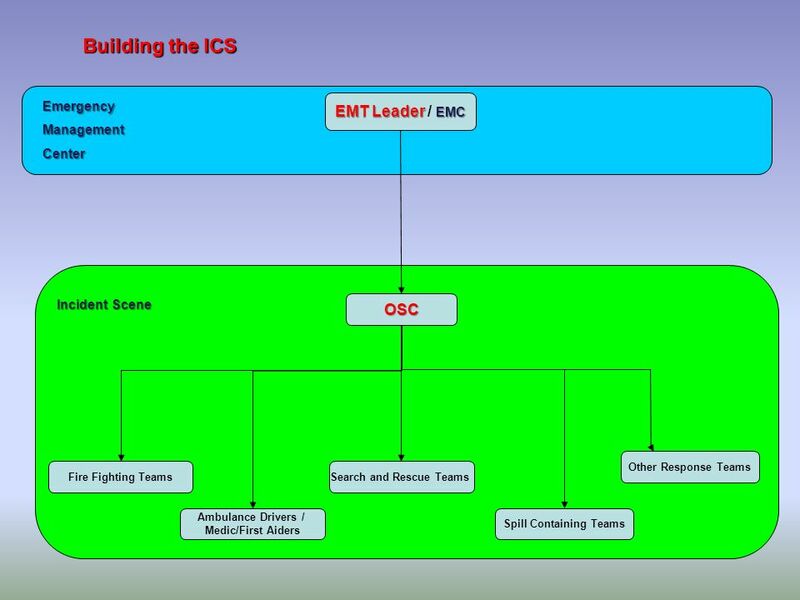 NERT College Disaster Operations Disaster Operations - ICS Command Staff Workshop Refer to Field Operations Guide, Chapter 5. 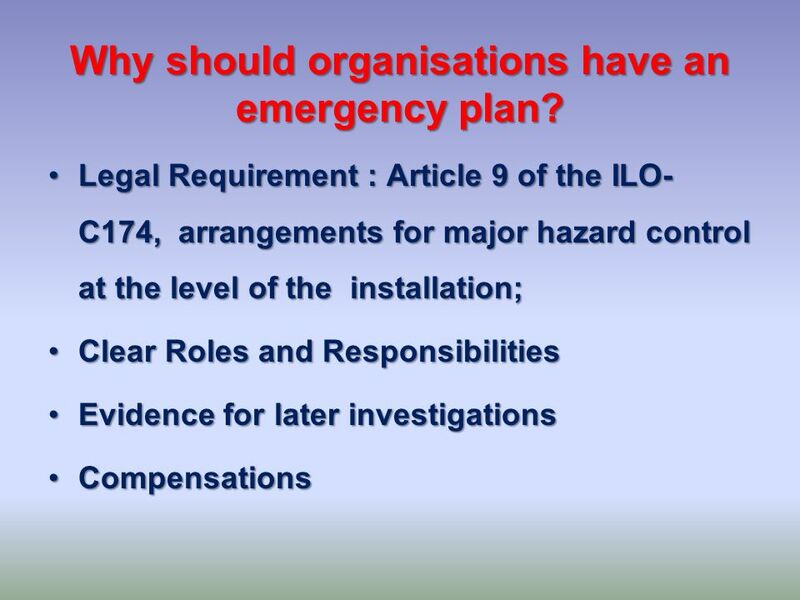 Implementation of the Seveso II Directive 96/82/EC Institutional Strengthening of the Slovak Environmental Agency Emergency Response Principles and Practice. 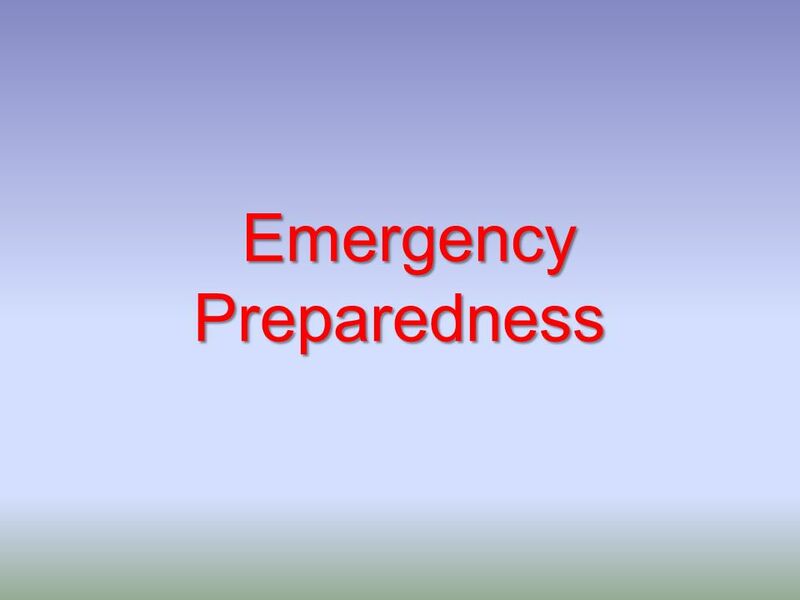 Contra Costa County CERT Program Unit 6 – CERT Organization Released: 18 August 2010. 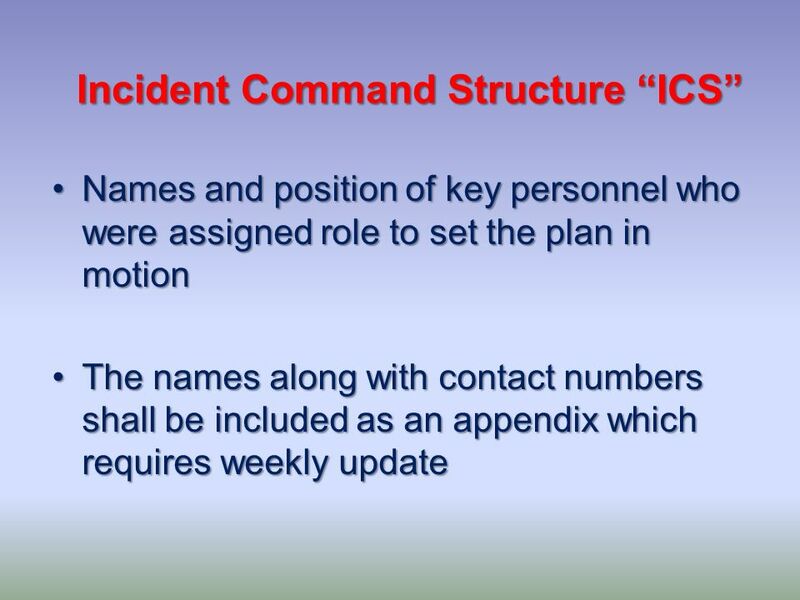 Responsible CarE® Process Safety Code David Sandidge Director, Responsible Care American Chemistry Council June 2010.